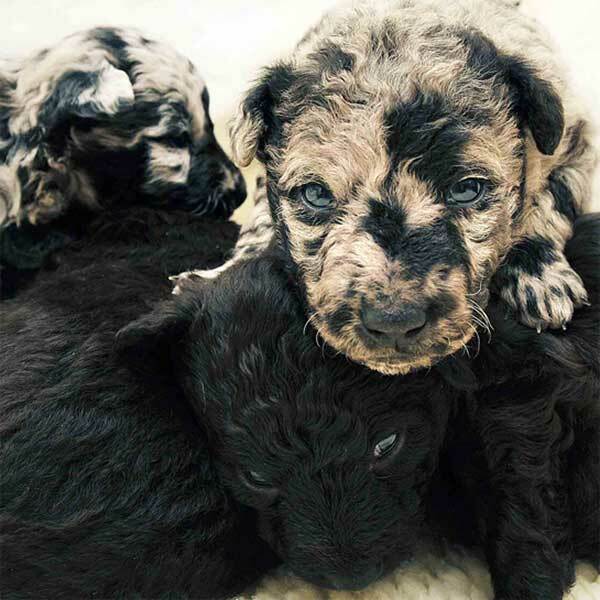 These dogs are unforgettable not just for their innate loyalty and cuteness; they’re unforgettable because they also have the most unusual coats! 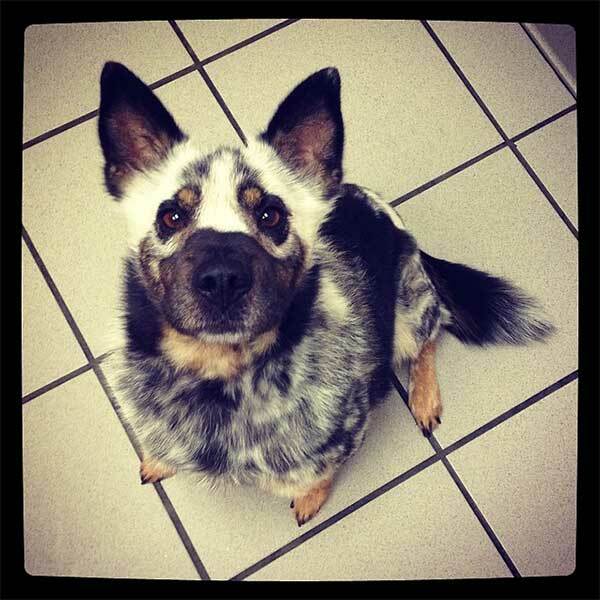 Genetic variations can cause these types of coats to appear, and genetics have surely done wonders for these lovable dogs. 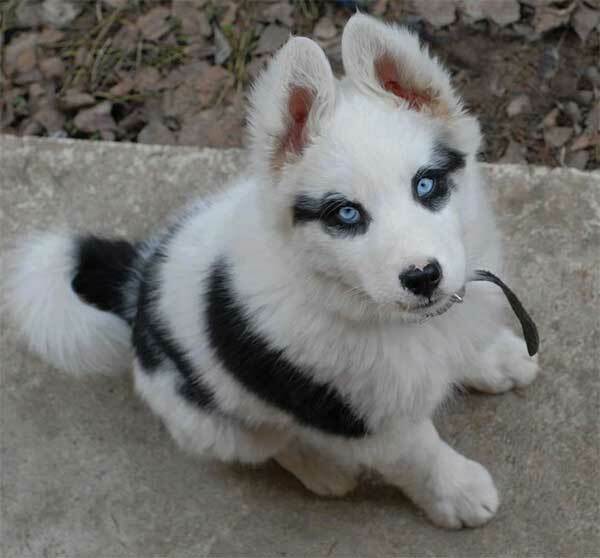 This beautiful little husky has natural eyeliner! Talk about achieving the Cleopatra look. And don’t forget those EYES. 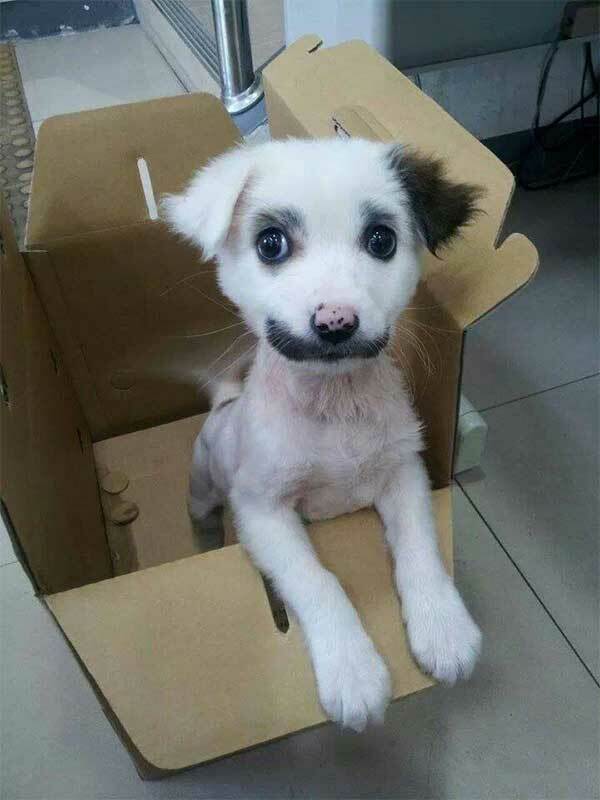 Looks like this puppy has his own superhero mask! 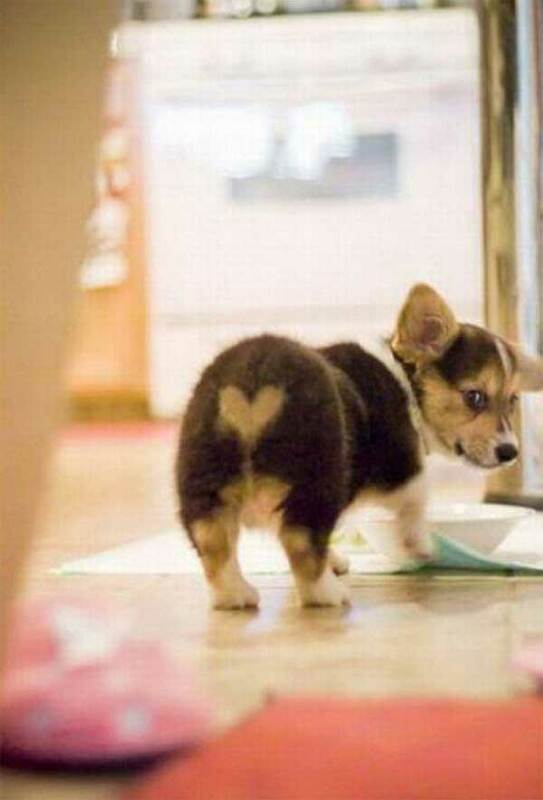 This puppy surely has tons of love to give! Free hugs! 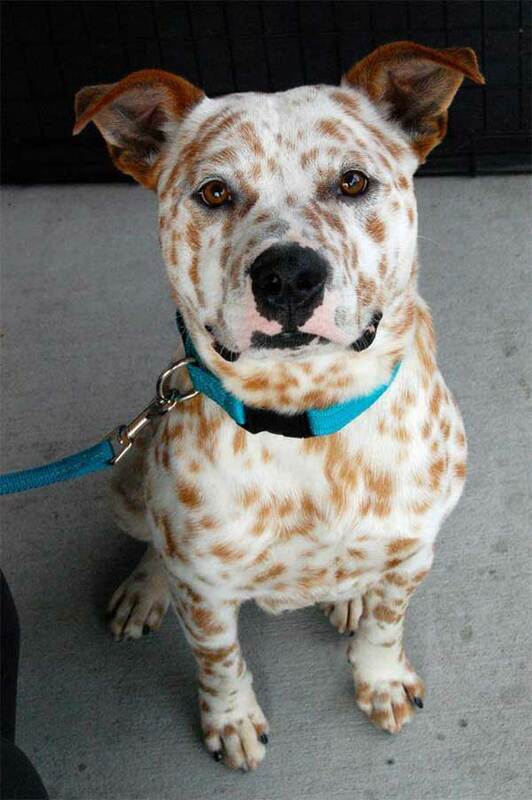 This freckled Australian Cattle dog mix is Puck. 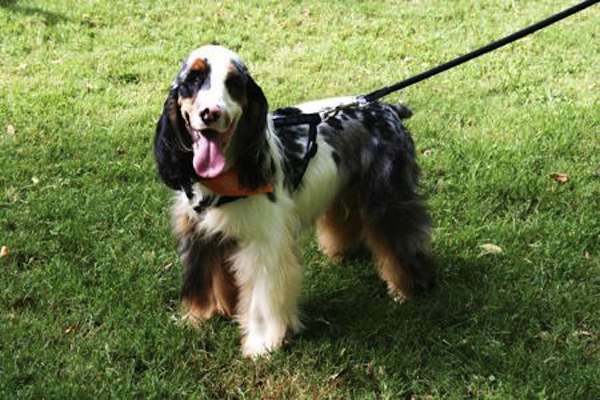 He was discovered in Baton Rouge as a stray and his loving caregiver eventually adopted him! 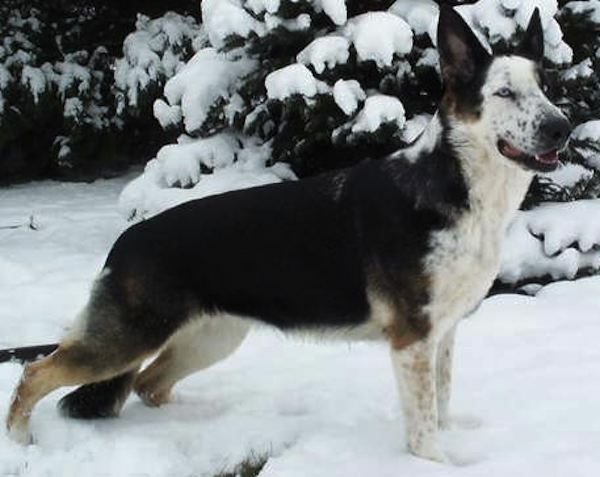 Panda German Shepherds like these originate from one bloodline. 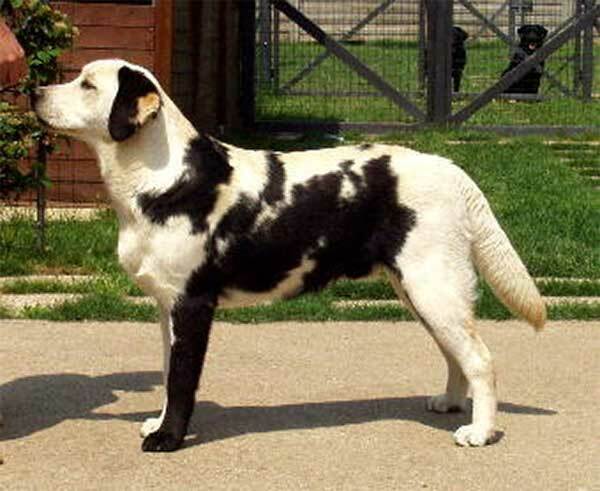 The discoloration is caused by a piebald mutation. It is also found in other species, but the mutation is rare. 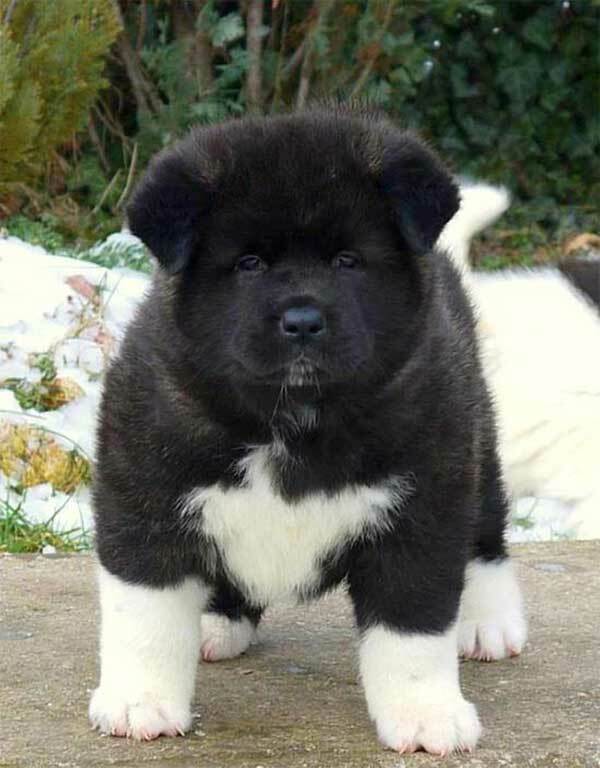 Look at this sweet Akita puppy and his permanent socks! Aaww. Did somebody ever tell you you look like a zebra? Sweet! 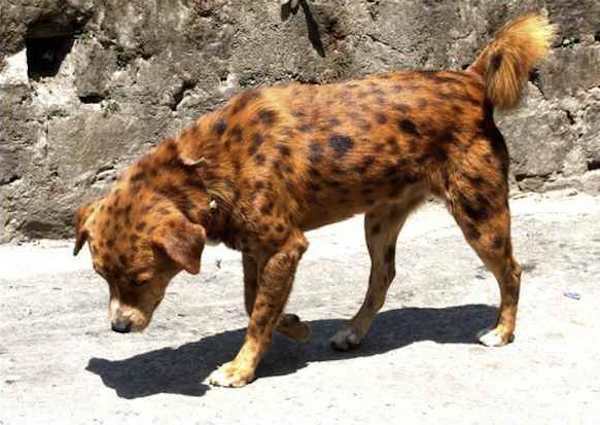 This unusually spotted canine resembles the wild dogs of the African jungle. Or even a cheetah! 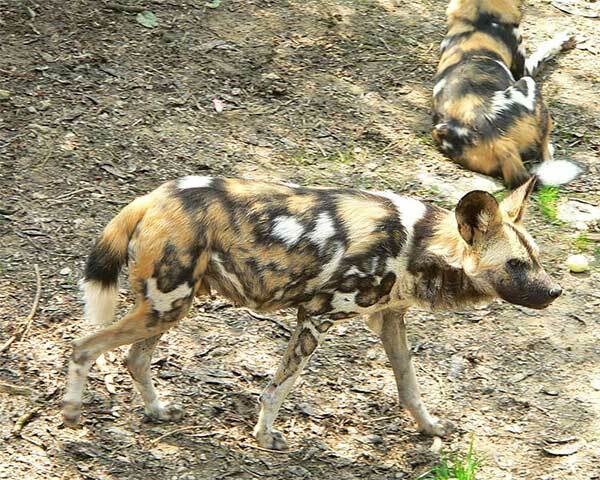 Found in the heart of Africa, these African Painted dogs are actually endangered. 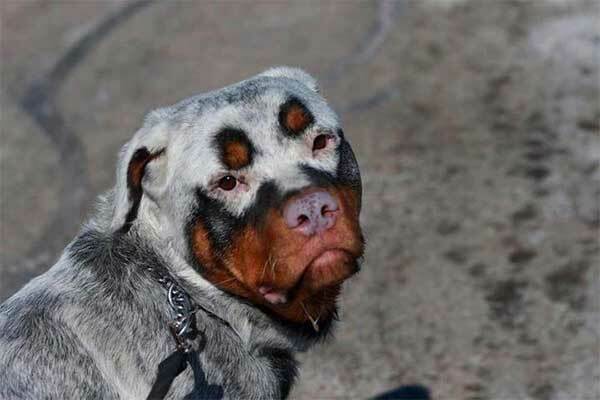 This Rottweiler’s unusual coat may be caused by vitiligo, which can result in depigmentation. 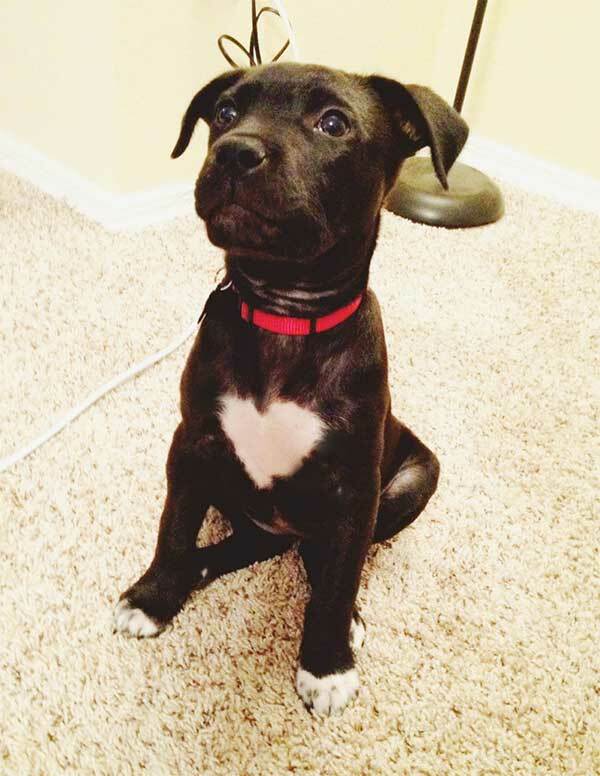 You know she’s a keeper when she wears her heart on her chest. This is too adorable! 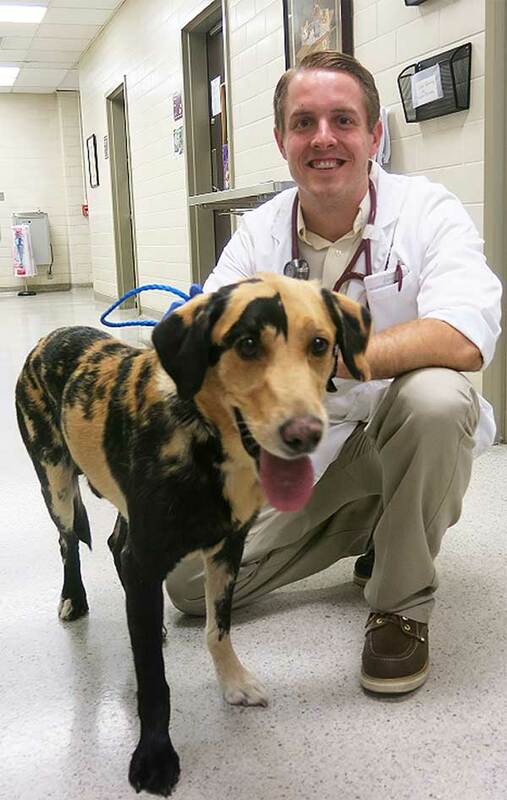 This Labrador Retriever is showing signs of a somatic mutation, thus labeling him a “chimera”. 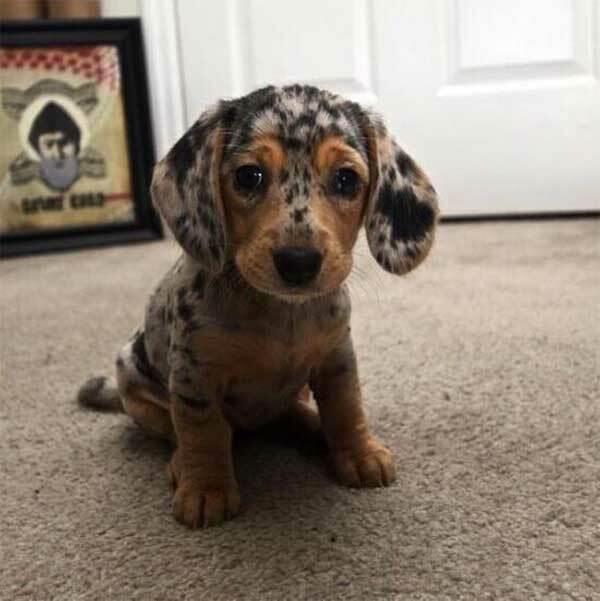 A dachshund puppy that is both dapper and dappled! 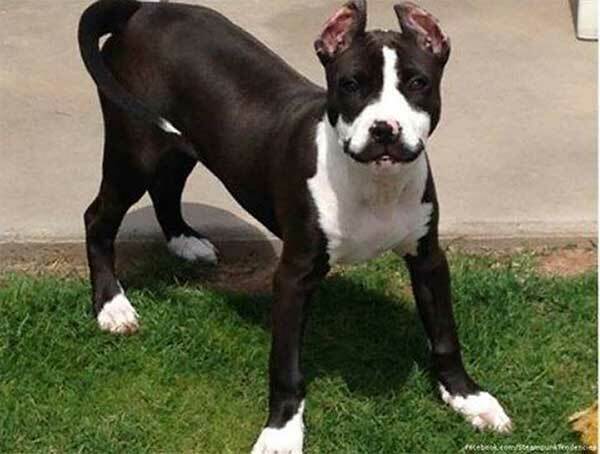 Maintaining a distinguished moustache is difficult – unless it’s part of your coat! 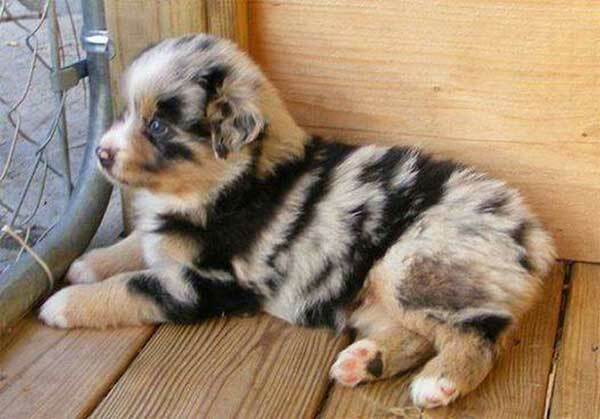 Awww, look at this cute little puppy looking like a panda! 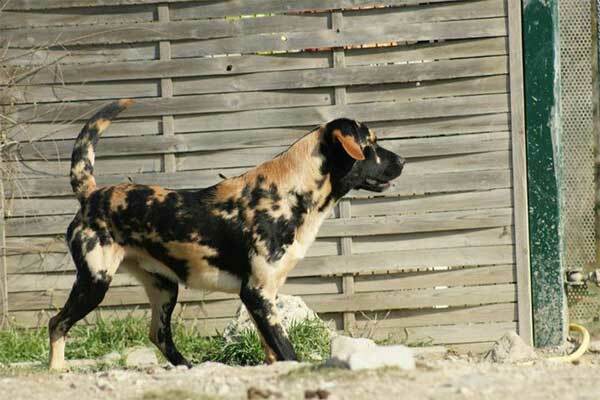 Having a somatic mutation in dogs causes yellow Labradors to show black spots. Despite this phenomenon, the gene is not inherited or passed down to their offspring. 17. The sweetest pups EVER! 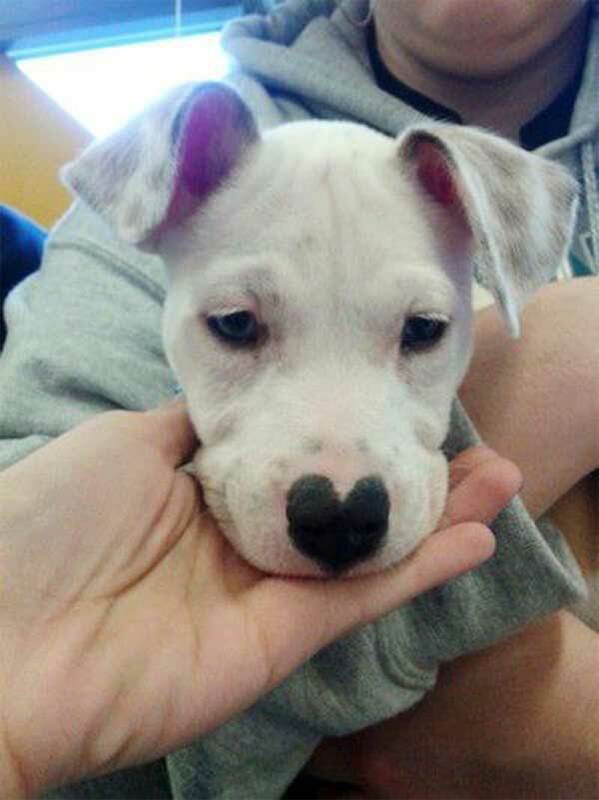 Some dogs have coat patterns that resemble shapes such as hearts. 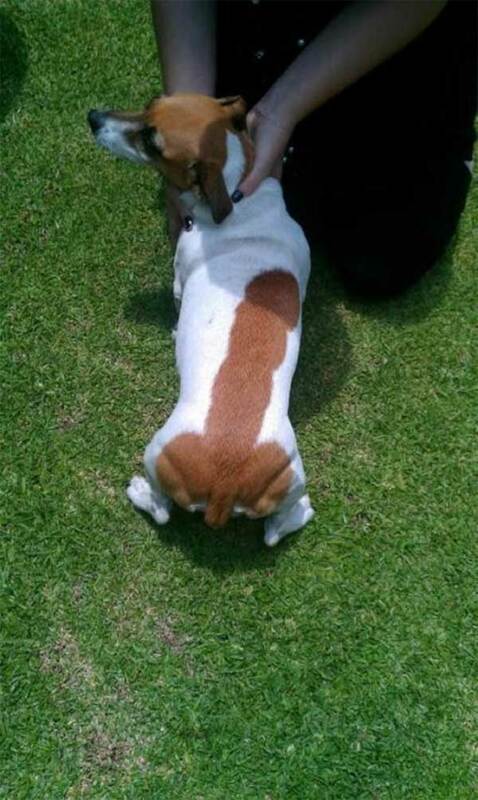 Other dogs have markings that can both be unfortunate and embarrassing! 20. Take Groucho Marx, for example. 21. Another gorgeous puppy coat! 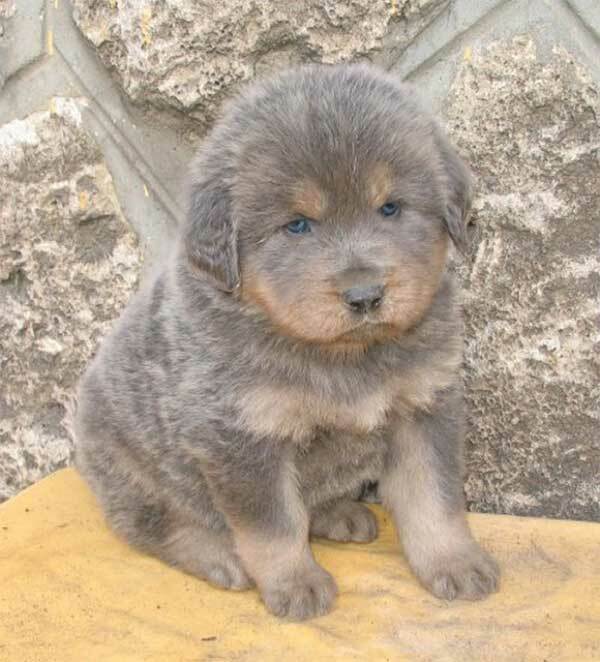 What a forlorn expression for such a beautifully colored coat! 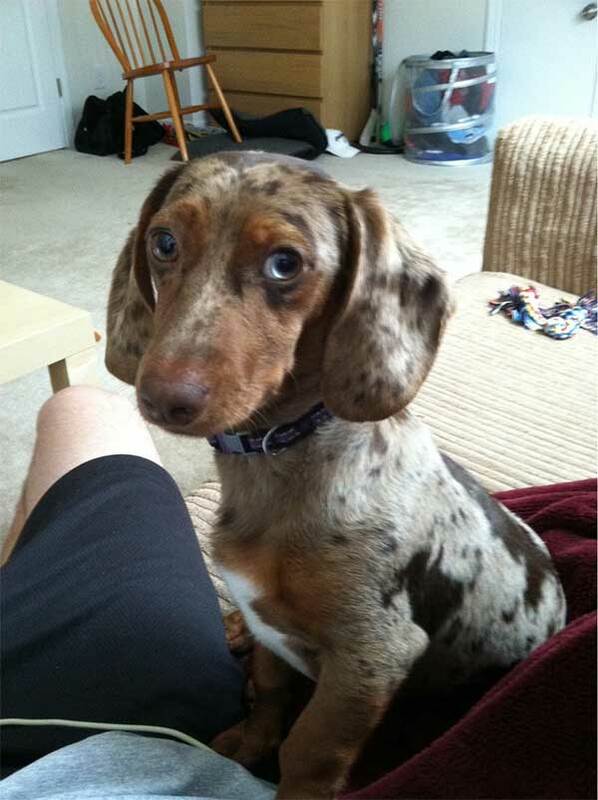 A dappled Dachshund that has these big beautiful eyes can melt anyone’s heart. 24. I know you’re jealous. 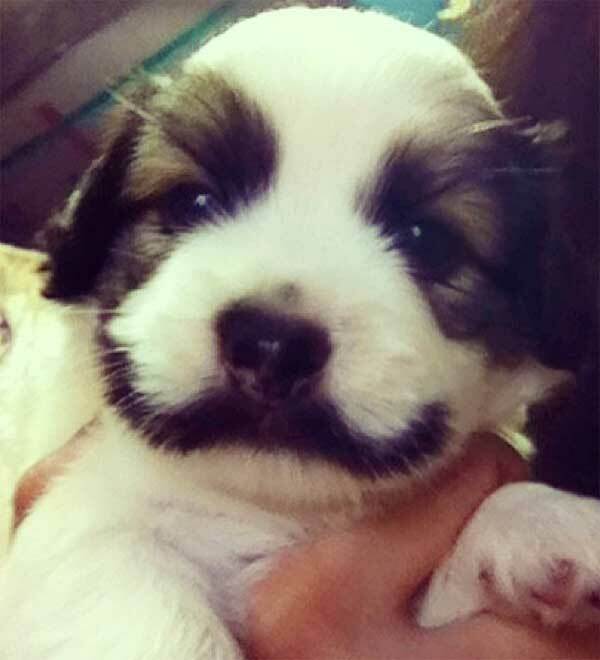 This little pup has an all-natural moustache! 25. One of a kind. 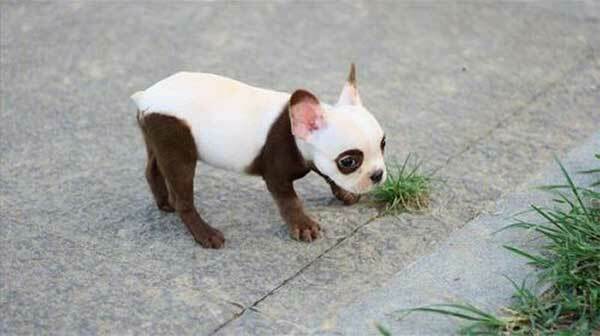 This Boston Terrier has one of the most unique coats. 26. Where can I get one of these? 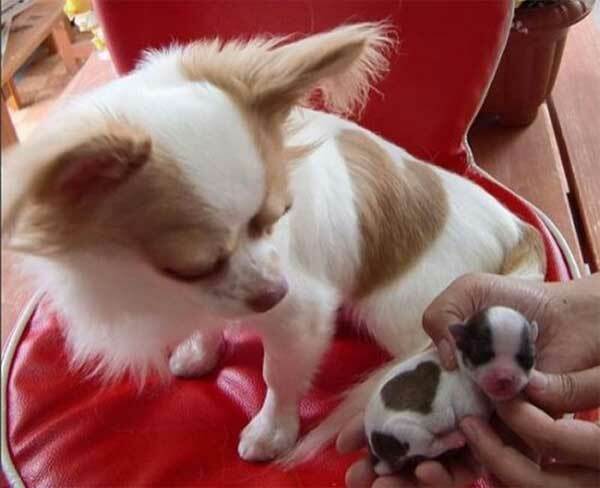 These little puppies are Mudis. They are a particularly rare Hungarian breed. 27. Did they fool you? 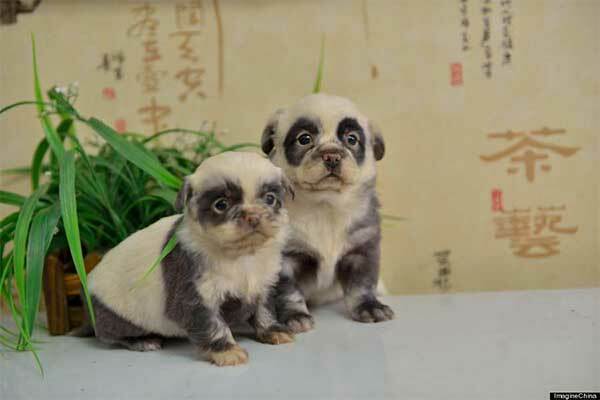 These cuties created a worldwide sensation because they looked like pandas when they were born. This English Cocker Spaniel named Zuma was born with beautiful blue eyes and a solid tri-colored coat. Unfortunately, his uniqueness had a price. 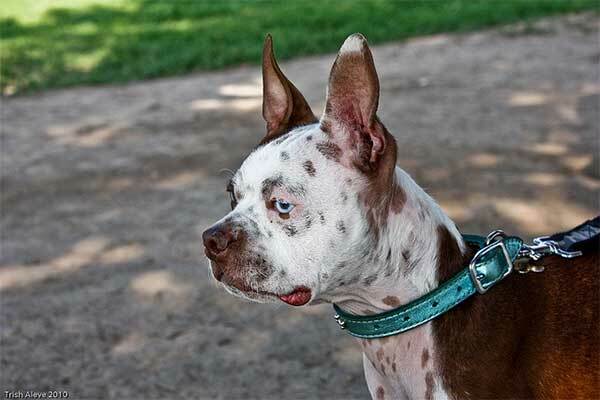 The same genes that caused his tri-colored coat and blue eyes also caused his deafness and tunnel vision. 29. Can I please have him? 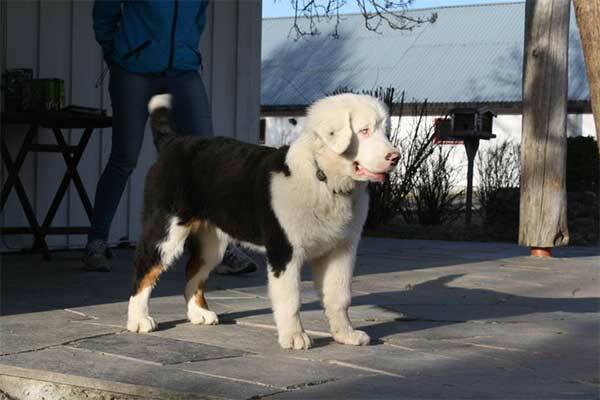 Probably the most one-of-a-kind Bernese Mountain Dog you’ve ever seen. Having an amazing coat is awesome, but if you pair it with fierce loyalty, friendliness, and a deep love for owners, then you have the perfect dog! Don’t miss out on other great articles by signing up for our free newsletter. We promise to brighten up your day with posts just like this. Check out our other articles while we’re preparing only the best and newest ones for you. Go on, don’t be shy! 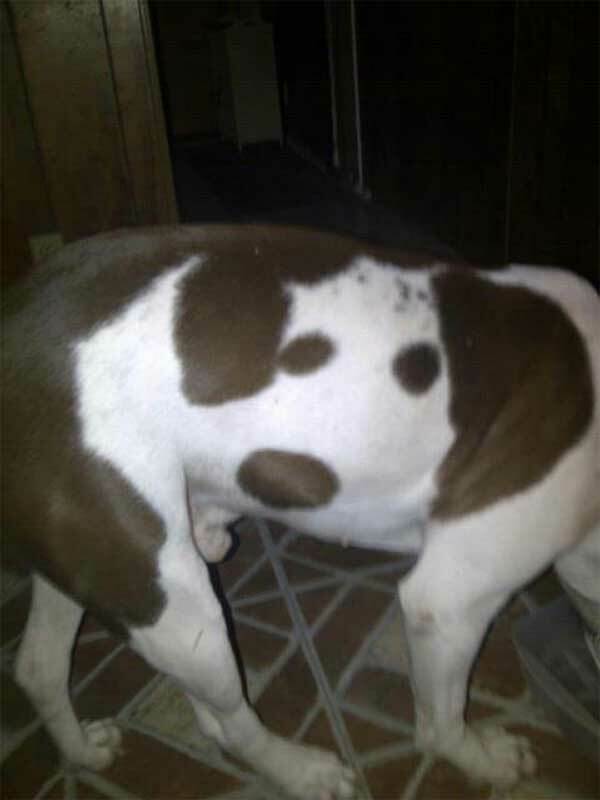 Don’t forget to share these great photos with other dog lovers out there so that we can all celebrate the awesomeness of dogs!